The original AR-15 rifle is part of American history. It was a unique design created here in the U.S.A. The AR-15 could be compared to the American Longrifles of the 1700’s and the lever action rifles of the 1800’s. Both of which were also unique and the most popular rifles of the time. I feel sure that the AR-15 is the most popular rifle platform today with its many variations from the original Colt Model 601 military rifle. The term "AR-15" is used today to describe all rifles having the look and design features of the original. In reality, Colt is the only manufacturer of civilian AR-15 rifles. Other manufacturers produce their own versions with their own names. I first became interested in these rifles when I shot a Colt AR-15 A1 Sporter Model R6000 SP1 that a friend owned. That was the first civilian version of the rifle to be sold. These models were first released in January of 1964. AR-15 rifles are nothing new, they have been sold now for over fifty-years. That may surprise some of you that are not familiar with the history of this rifle. If you are one of those that think the "AR" stands for "assault rifle", please do some reading and educate yourself about this rifle. Like most firearms, the AR-15 has a very interesting history. I first bought a new Colt AR-15 A2 Sporter II Model R6500. Not long after that, I built my ﻿first AR-15﻿ in 1990. It was a carbine style rifle with a 16-inch barrel and collapsible stock. There were not many choices for parts and accessories back then, but it turned out to be a good rifle which I still have today and I think it is pretty cool. Check it out on "my first build " page. Today, there is a huge assortment of parts and accessories available for the AR-15 rifle. That makes is easy to put together a combination sure to satisfy your desires. Anything from an early military style rifle to the ultimate defense rifle. Building a rifle is a good option when you cannot find the particular style of rifle that you have in mind. Buying a new rifle and then modifying it will usually cost more than building one. Watch this cool video to become familiar with all of the components that make up the AR-15 rifle. Assembling an AR-15 rifle from a pile of parts is not a difficult task for someone with good mechanical skills. There are a few specialized tools that are necessary to make the assembly process much easier and also prevent damage to the components. 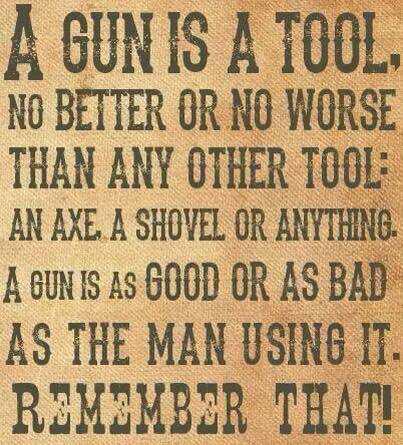 It is not economical to invest in the tools unless you plan to build many rifles. The key to building a good rifle is to use the proper techniques and quality parts that are compatible with each other. I use the correct tools and procedures and know which components to use for the desired results. Certain rifle combinations may need to be "tuned" in order to function properly and reliably. Things like buffers, buffer springs, and gas ports will need to be matched. An adjustable gas block may be necessary. Not all builders will take the time to perform this important procedure. I have been involved in this for many years and have watched and learned as the firearm industry evolved from hardly nothing to what it is today. I continue to learn as new components, tools, and procedures are constantly being developed. It would be my pleasure to help you acquire your AR-15 dream rifle. You will receive a quality custom built AR-15 rifle that will meet your expectations. Send me an email with any questions and describe what style of rifle that you have in mind. Use the website "build form" to let me know your particular preferences for each component. For those of you on a smaller budget, I can help you put together a basic AR-15 carbine style rifle for less than five-hundred dollars. This would be a complete rifle ready to shoot, including front and rear sights and a 30-round magazine (just add the ammo). That's about as economical as it gets for a new quality built rifle. If you would rather talk on the phone call me at 770 312 5623. I am happy to discuss your rifle combination, give you a quote, answer any questions, or give advice. There is no charge or obligation. If you do not want a complete rifle, I can also supply you with whatever components that you need. Just let me know what you want. The popularity of these rifles makes it common for the shipment of parts to be delayed or put on backorder. I have no control over when the parts will be shipped. I will not assemble your rifle until I have all of the components. That allows me to check the quality and fit of each component to eliminate any surprises before the assembly process starts. I can usually have a rifle completed within 3-weeks if there are no backorder issues. It's all about the availability of parts. I will keep you informed and updated as the build progresses. The completed rifle is test fired (normally 60-rounds) and the sights are adjusted. Any problems would also be fixed at this time. After the rifle is thoroughly cleaned and passes inspection, your custom built AR-15 rifle will be ready for you to enjoy. Thank you for visiting. Hopefully we can work together to get the AR-15 rifle you have been looking for. Visit my other Ingram Engineering websites.